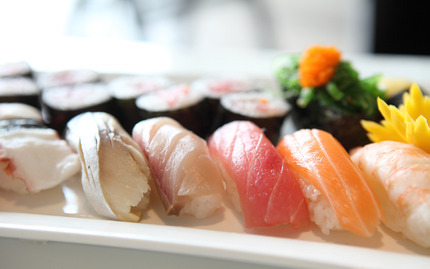 Sushi is one of our favorite foods here at Vimbly. Seriously, whatâ€™s not to love? Fresh fish, salty seaweed, and so many different varieties you can make. And we love room for creativity. Thereâ€™s a lot of buzz these days about making your own sushi rather than buying it, so we thought it would be fun to try our hand at making some of our own. After watching "Jiro Dreams of Sushi" and trying to make sushi by ourselves in the office, we realized that we were completely clueless in the art of sushi making. Trying a sushi making class taught by an expert chef seemed like the only option... but where to start? With so many great sushi chefs offering classes on how to make this delightful food, it can be hard to know which class is the right one for you. After some pretty extensive New York City sushi class research and testing, weâ€™re confident that we now know the best places to go if youâ€™re looking for an authentic and worthwhile sushi making class. It was a very close call, but this class turned out to be our favorite. Camaje is famous for its great cooking classes, and now we understand why. 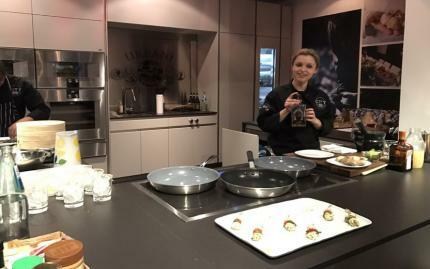 We got to the class and were shocked by how small it was, which, for a cooking class, is a great thing. If you have too many people crowding the room it can be hard to get attention from the instructor and have space to move around. Good thing that this class has a maximum of twelve students per class! The class was held in a real working restaurant, which we first were nervous about, but was actually really unique, energizing, and instructive. Our teacher was an experienced professional chef named Abby, and she was incredibly friendly. We started off by sitting in the Camaje dining room where we met our teacher/chef and our fellow classmates. We spent some time discussing the menu as well as the importance and process of preparation, then it was time to put on our aprons and get to work! While prepping, we learned about the proper equipment needed to successfully make delectable sushi as well as the secret behind finding and buying the best and most fresh ingredients for high-quality sushi. When we finished prepping, we moved to the kitchen to make the sushi--which is not as easy as you might think! I'd say our favorite part of the class was nomming on our seriously delicious sushi, paired with wine. We took this class at the Gramercy location and it was truly superb! Simon Feil, the instructor, was extremely knowledgeable, patient, and friendly. Even though, admittedly, our sushi skills werenâ€™t all thay great, he was very encouraging. Simon is the creator of Sushi by Simon, which is an event company that specializes in private sushi lessons. Heâ€™s been working with sushi for about 15 years now and been on Martha Stewart Living Radio many, many times. 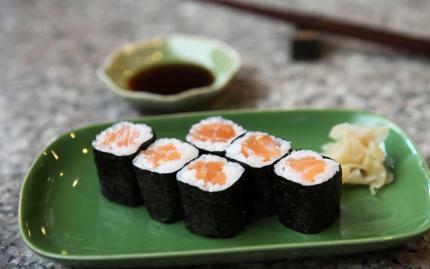 Each step while making the sushi is given in a very detailed and helpful manner, perfect for amateurs like us. We were taught how to make sushi, why the process of making sushi is what it is, and the consequences if not done properly. We were also taught a ton about the origins of sushi. Simon was really good about answering any and all questions that people in the class had. After the history lesson, we made tuna, salmon, yellowtail, cucumber, and avocado rolls. We were really excited that we got to eat everything we made since it all tasted so delicious. Go us! We know poke and sushi are different, but we couldn't leave this awesome class off the list. Who wants to wait in line for a ~trendy~ poke bowl when you can make your own at home? This new class from City Cooking West End is the perfect way to learn one of the most popular dishes right now. You'll learn everything from how to assemble a poke bowl, to how to prep the fish, to where to buy the best fish. City Cooking West End, the one thing we want to know is, where can we sign up again? 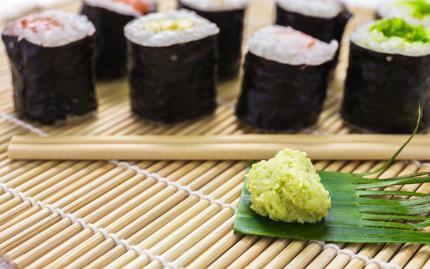 This sushi making class is SOY NYCâ€™s most popular class for a reason--it was fantastic! We always knew this tiny LES Japanese restaurant had great food, both classic dishes and spins on traditional dishes, so we were excited to try a cooking class from the great chefs themselves. We unanimously agreed that this class had the most at-home feel out of all of the ones that we tried--the coziness of SOY NYC set it apart from the rest in that way. But, even with this at-home atmosphere, we knew this was a class taught by a true sushi expert. First, we had to learn how to properly prepare sushi rice, which was, according to our instructor, the hardest and most important part of the whole process--who'd thunk it! Our knowledgeable teacher guided us through the preparation of our ingredients and then taught us how to properly roll sushi. Afterwards, we had the chance to struggle with rolling sushi ourselves. We made a bunch of different types of sushi while we were there, such as California Rolls, hand rolls, and veggie rolls (with any veggie combo you can imagine)! What we loved was that even the class' fun and relaxed vibe, we knew we were gaining a lot of hands-on learning experience. In the end, we were given our own sushi rolling mat to take home with us so we can make even more sushi. Nice touch!